Dr. Jafar W. Siddiqui joined UBNS in 2016. He received his Bachelors of Science degree in 1992 from Michigan Tech University. He completed his medical coursework and earned a graduate degree at the University of Florida in 1995. Here, he also wrote a master’s thesis on semiconductor wafer fabrication. He received his medical degree from Spartan Health Sciences University School of Medicine in 2003. He completed his internship and residency in Physical Medicine and Rehabilitation from Rush University Medical Center, Chicago, Illinois where he graduated in 2007. He then completed a two-year fellowship in Interventional Spine and Pain Management at Spinal and Skeletal Pain Medicine graduating in 2009. Dr. Siddiqui has presented numerous posters and scientific papers at the American Academy of Physical Medicine and Rehabilitation and the Association of Academic Physiatrists meetings. He is a Scholarship Recipient of the “Essentials of Pain Management: Principles and Practice” program presented by the American Pain Society. He is Board Certified by the American Board of Physical Medicine and Rehabilitation and is a Diplomate of the American Board of Pain Medicine. With fluoroscopic guidance, Dr. Siddiqui treats and diagnoses many spinal conditions with Interventional Pain Management techniques, some of which include epidural steroid injections, facet joint injections/medial branch blocks, radiofrequency ablation procedures/rhizotomy and neurolysis, discograms, IDET, stellate ganglion and ganglion impar blocks, epidural blood patch, spinal cord stimulation, sacroiliac joint injections, trigger point injections and neurotoxin injections (Botox). 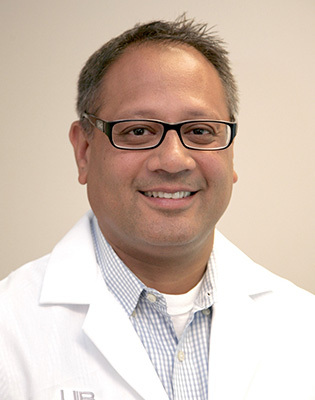 Dr. Siddiqui is on staff at the Catholic Health System and sees patients at our 180 Park Club Lane office location in Williamsville, NY as well as our 5959 Big Tree Road office in Orchard Park.